With warmer weather, the temptation grows to escape the heat and smog of downtown Beijing and head for the hills when the skies turn blue. 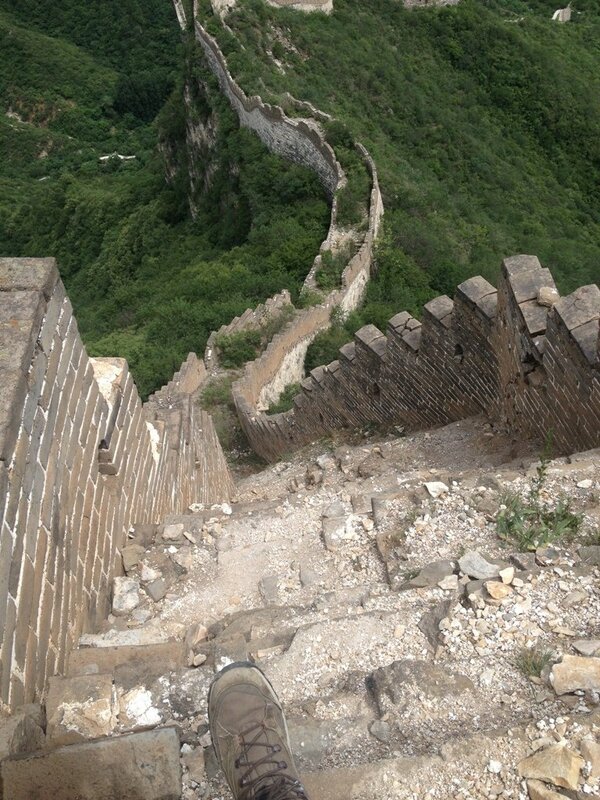 Beijing’s mountain ranges and valleys provide surprisingly good opportunities for hiking. But even on the sunniest summer day, it pays to be prepared when hiking. Sudden thunderstorms, unstable terrain, and spotty emergency services in remote areas can turn a pleasant weekend stroll into a trip into an epic – and sometimes dangerous – journey. One example of such occurred this past February when two hikers – one from France and one from Germany – needed assistance from local rescue personnel after the hikers became lost near the Jiankou section of the Great Wall. The two hikers had ventured out without food and water. As the sun began to set, they lost their bearings and were forced to call friends, who in turn summoned the authorities, according to a report in The Shanghai Daily. After an uncomfortable three-hour wait, the pair were rescued by firefighters. Many of Beijing’s most popular hiking areas also present hazards. Phoenix Mountain, only 51km away from Haidian and one of Beijing’s most accessible peaks, is famous for its poor footway and crumbling stones. Lingshan and Haituo Mountain each exceed 2,000 meters, hardly Himalayan, but sufficiently high to be taken seriously. Both have been the site of rescues and deaths in the past few years when hikers overestimated the length of their chosen route, became lost, and then were forced to bivouac overnight in cold temperatures. While the Beijing authorities’ simple solution to this problem would seem to be “Buy a ticket to one of our pre-approved Great Wall theme parks and ride the chairlift,” there is still plenty of safe hiking to be had around the city provided hikers are adequately prepared. According to Hayden Opie of Beijing Hikers, people most often find themselves in trouble by being either unprepared for the weather or by tackling a route that is simply too challenging. Opie also recommends always a carrying a fully charged mobile phone just in case. Simon Ashmore, who leads outdoor educational programs for The Hutong and who holds the Mountain Leader qualification from the Mountain Training Association of England and Wales, concurs. “People get in trouble the most from getting lost, exposure, and dehydration,” says Ashmore. What happens when things do go wrong, and you become lost? But even the best hikers at some point can have their whimsical moments. “Something we always do is check out routes before we take people there for a hike,” Opie recalls. While Beijing’s mountains and walls present excellent recreational opportunities for urban dwellers, it pays to be prepared for the unexpected.